Let us have a look in your attic, basement or garage. We have found valuable items that most people thought were worth nothing. Having a yard sale, estate sale, church sale, flea market, etc..??? 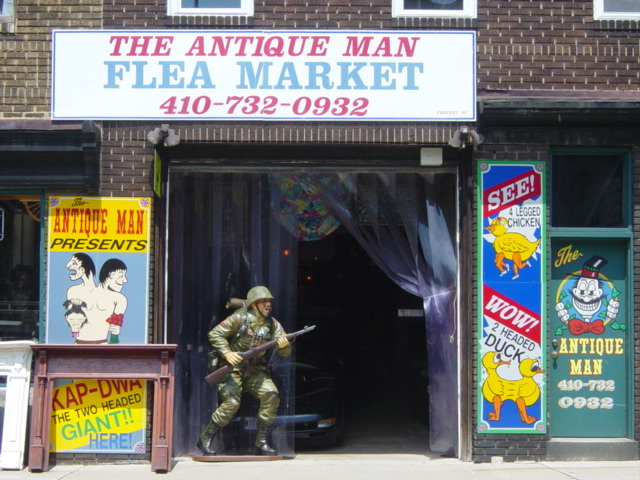 Call the Antique Man first!!! That call could be worth thousands of dollars to you or your organization. At a church a quilt was sold for $25.00 that was worth $40,000. At a yard sale in Loch Raven, an oil painting was sold for $20 was worth $1,500. A Crock for $ 10 was sold for $300. A toy boat for $10 was sold for $40,000. The list goes on and on. It happens every day !!! 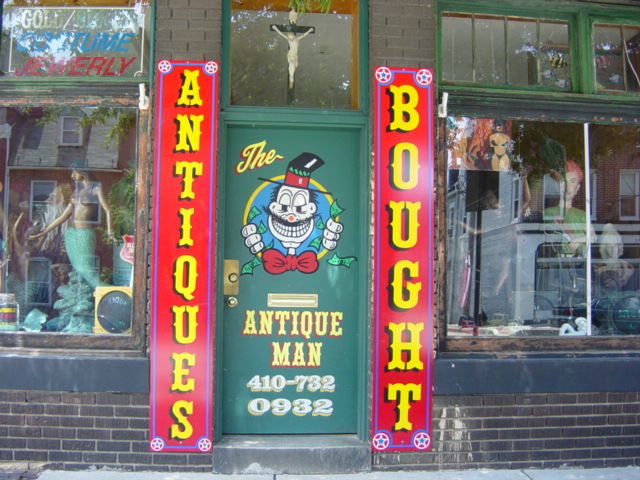 If you call The Antique Man,ltd. first we will make certain you get top dollar for your merchandise. We have at our disposal some of the top dealers in the country!!! We buy whole estates, complete collections or one item. For example: A lady in Towson called she said, " I have a basement full of old stuff that isn't worth much". We gave her $1,000 for it!!! Another example: A Lady in west Baltimore called to say she had an old clock that a dealer offered her $300 for and we paid her $450 for it!!! A man in Catonsville had a train he was offered $50 for. We paid $300!!! A lady was offered $2,000 for a complete estate, we paid $4,000!!! I can't stress enough that there is a fortune in your attic!!! We buy quilts, crocks, old costume jewelry, toy soldiers, old christmas items, cookie jars, sterling silver, religious items, prints, silver plate, oriental rugs, oil paintings, wood carvings, tin cars, fishing floats, bass plugs, decoys. All at record Prices!!! Contact The Antique Man,ltd for the best deals for your clients. We buy complete estates. We will also dispose of and broom sweep the estate as a service to you and your clients. Thousands of satisfied customers. We also buy old stock, mannequins, display cases, etc... We pay top dollar for clean used mahogany furniture! Especially complete dining room and bedroom sets.